Do you wonder what the future might hold? Where technology in all its forms is taking us - genetic engineering, artificial intelligence, surgery - and how it will affect what it means to be human? What might it be like when mega-corporations have more power than governments; when the natural environment has been destroyed by greed and the only place to escape from the densely-populated planet is through drugs or virtual reality? It sounds bleak, and in many ways this genre’s visions of the future are - even the protagonists tend to be burnt-out and emotionless drug-addicted shells. 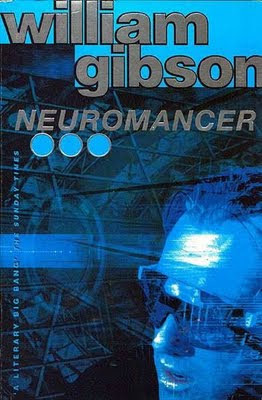 But the best works in the genre satisfy on two levels: they are intellectually stimulating, as ideas and concepts zoom past faster than you can catch them; and they are almost guilty pleasures, as the fantastic locales and believable characters pull you into the virtual worlds of the story, similar to the way the protagonist of Neuromancer, Case, jacks in to Cyberspace (the in-novel pinnacle of human-computer interaction - think ‘Second Life’, but more immersive, better-looking, and without the lag). Some people are put off at first by the jargon of the near-future - they think that they need to understand it all, and have missed something otherwise. However, just let it wash over you and become part of the immersion - and let the world-picture build up at its own pace, data building on data to construct the hi-res image of a possible future. Then the story will do the rest: hackers and revenge; surgically-enhanced assassins who only see the world through filters; personalities smashed then stuck back together by the military; mysterious intelligences directing our actions; and a conspiracy-uncovering finale aboard a space station for the rich. In 2008 I chose Neuromancer as my 'recommended book' for a World Book Day display in a library I worked in. I selected it because it set the pattern for this whole genre when it blazed across the sci-fi sphere in 1984; also because the story needn’t end there, there are two follow-up novels in what is sometimes referred to as the ‘Sprawl Trilogy’ - Count Zero (1986) and Mona Lisa Overdrive (1988). If you like science fiction you should read these; if you don’t normally read this genre, or have never experienced cyberpunk, then it could be an opportunity to branch out! If you enjoy the themes that occur in these novels then I also recommend Free Radical by Shamus Young, available online for free (or download and convert the version here for any mobile device). Free Radical is a complete cyberpunk novel based loosely on the cult System Shock computer game.